Slate Falls Press: What's in my suitcase? 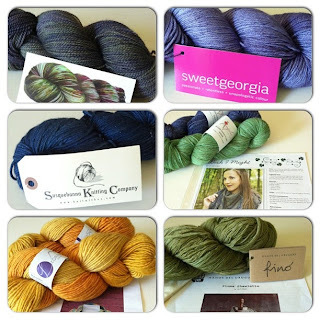 TNNA goodies revealed. What's in my suitcase? 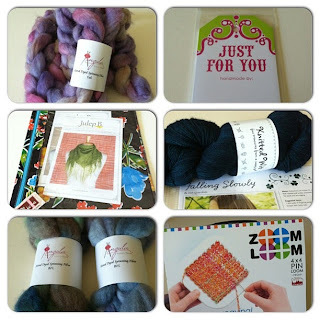 TNNA goodies revealed. I didn't think I had gathered up very much yarny goodies over the long TNNA weekend... until I packed up my suitcase. Whoops! 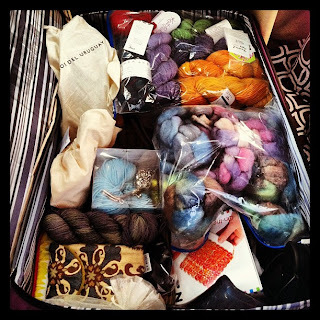 I definitely had more yarn, notions, and fiber goodies in my suitcase than clothing. After posting a quick pic of my delicious suitcase, I received a lot of questions asking which was what and ummmm oh, my! So here is a little overview of what came home with me. Some of these items came from Sample It!, some were from Marly's Designer Dinner, and a few others were generous gifts from friendly vendors. Knitted Wit yarn with Falling Slowly pattern. Anzula yarn with Wish I Might pattern. Haymarket yarn from Lorna's Laces. Manos Fino yarn with Pluma pattern. Noni's Spring Beauties pattern kit. Another view of Noni's Kit. Brown Sheep Company needle gauge. Knitty "missing project bag" tag. I wanted to take a moment to focus on my two favorite things that came home in my suitcase. The first is Brandy Fortune's amazing new book, Just Like Me Knits. 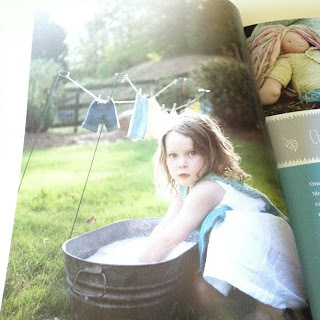 Brandy's new book is just overflowing with beautiful patterns for children and their dolls to match. It is just too adorable! Brandy's photography is stunning, and her patterns are fun to knit and fun for children to wear and play with, too. 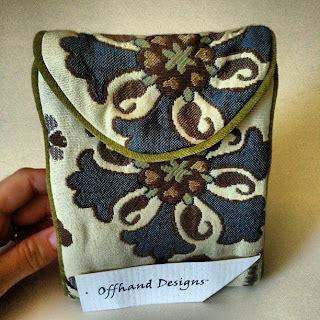 Here is a quick peek at one of my favorite patterns from the book. Brandy's carefree and natural approach to design, play, and style is incredibly appealing to adults and children alike. 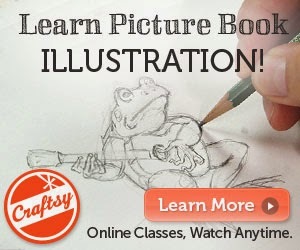 I can't wait to start casting on from this book. 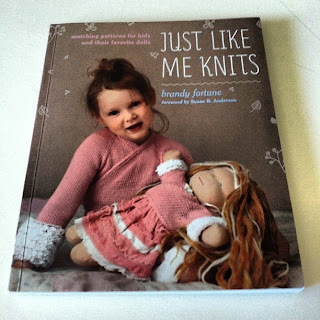 I have a few little nieces who will love the knits! 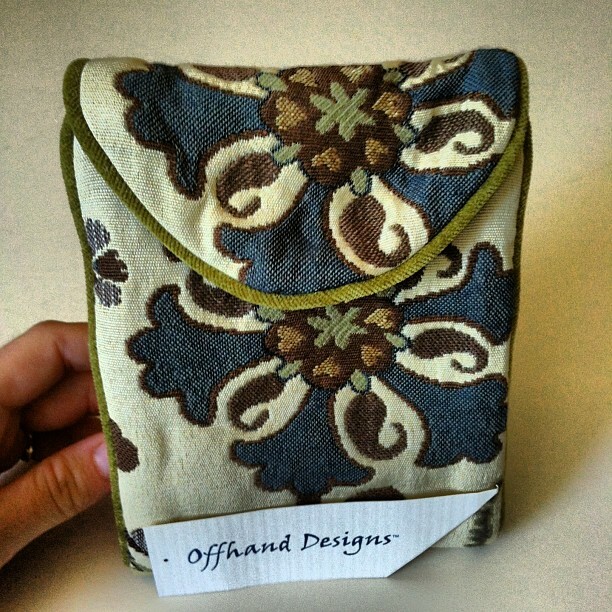 My other favorite thing is this interchangeable needle case, Switch, from Offhand Designs. This is something I almost picked up last summer and didn't, much to my own regret. 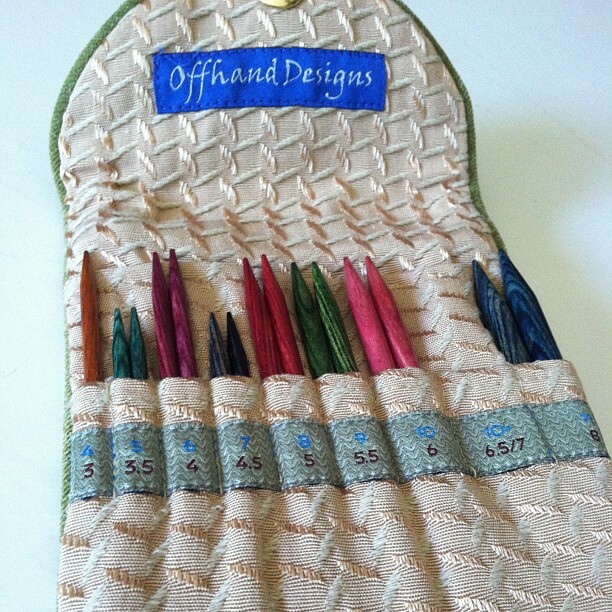 I absolutely adore my Knitter's Pride Interchangeable needle set, but find its case to be fiddly and cumbersome. I have been looking for THE perfect case to store my best needles in, and this is it. The needles fit very securely into the sized pocket sleeves, it is sturdy yet soft, and fits into even my smallest knitting bag. I will use this more than anything else I picked up this weekend. That's my little overview, I hope you found something that interests you. Wow, amazing goodies! 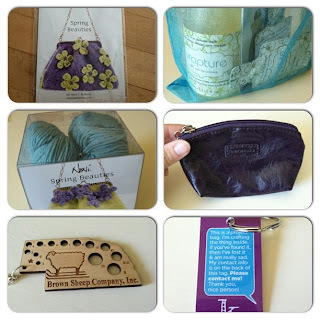 I read from a few other attendees that the needle case is their favorite too. Enjoy!